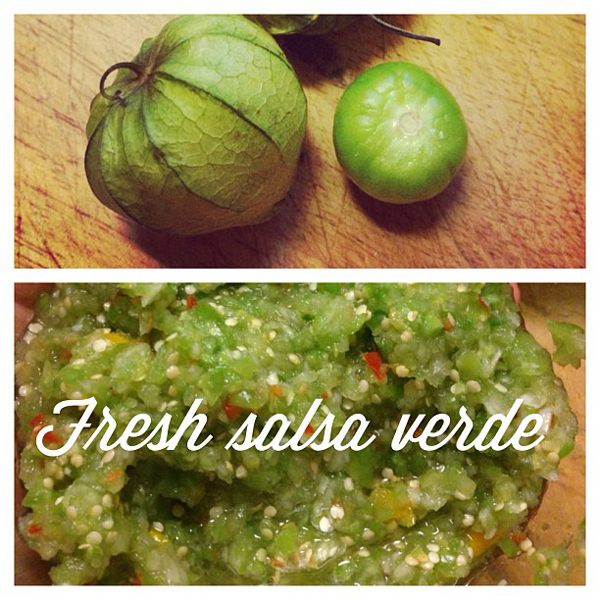 We got some tomatillos in our CSA share and when I asked what you could make with them everyone replied "Salsa Verde". Apparently it is the only thing you can make with tomatillos? Instead of making the roasted kind, I used a recipe that Aprille gave me and kept it fresh. Because I like to fiddle around with recipes... I changed it up a bit. Also, I have no patience so it did not sit for 1 to 2 hours. More like ten minutes. Tasted fine though! We dipped tortilla chips with sour cream into it and added it to the top of quesadillas. PS - these are my tortilla chips of choice... store bought chips that come the closest to what we get in restaurants. Note that I did not fool around this time when cutting peppers. Remember the "banana" peppers that were so hot I coudn't take my contacts out? 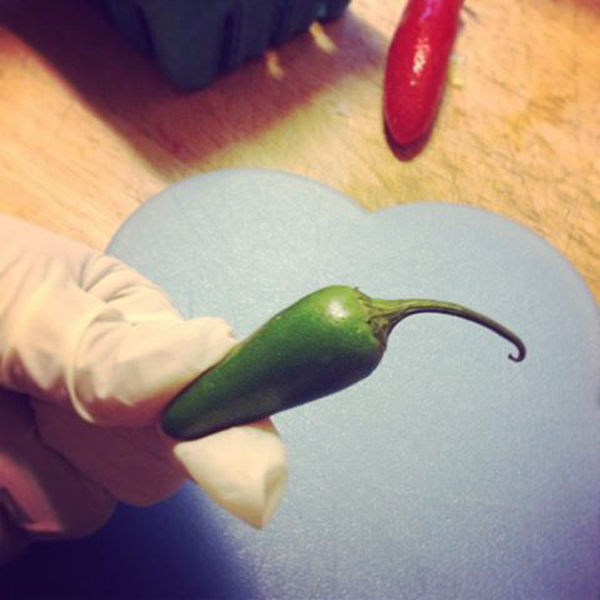 After many suggestions I wore rubber gloves to cut the jalepeno and habanero peppers. No bodily harm this time!